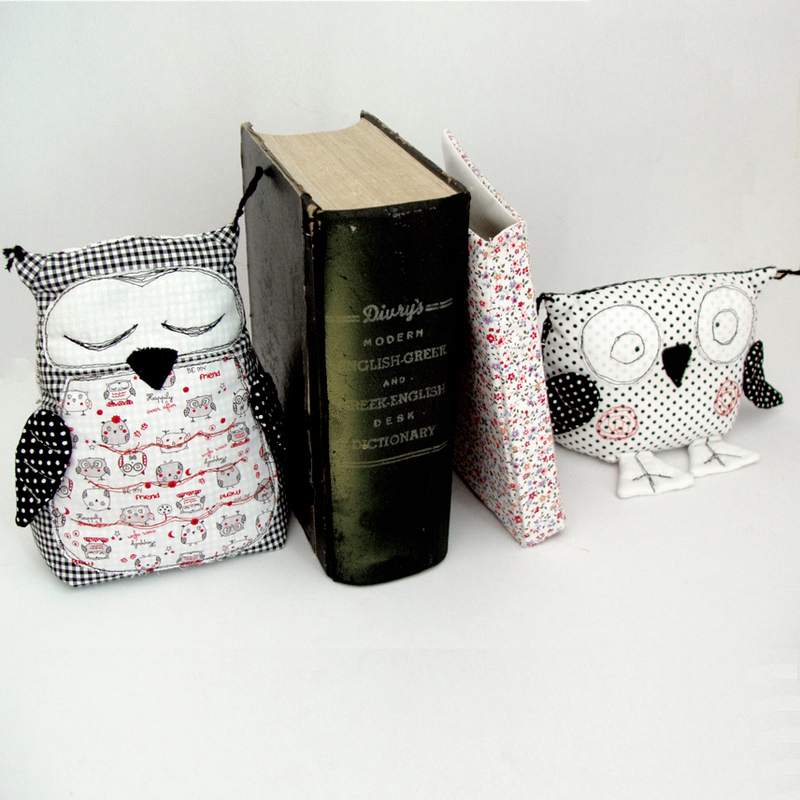 Set of 2 fabric bookends shaped owls, in white-black-red shades, with embroidery and applique decorations. The item is filled with recyclable material. Materials: fabric, string, buttons, plastic, recyclable filling.